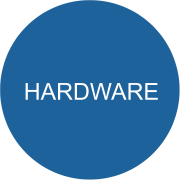 HAZTECH SYSTEMS ™ , INC. 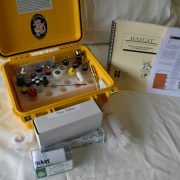 This kit provides “unknown substances” for continuing education for First Response Teams. A unique kit, that allows your agency, to assign one of (25) unknowns along with the ﬂow chart, to your ﬁrst response team member. This assignment gives the team member a hands-on lesson in an “unknown” identiﬁcation. Once completed, the supervisor can ﬁle the completed and graded chart in the team members training ﬁle for training validation. 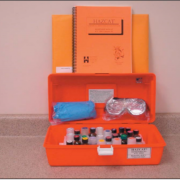 This kit includes: 25 Surrogates…Field Manual with MSDS’s… and Field Sheets packet in a high impact plastic case with foam insert. 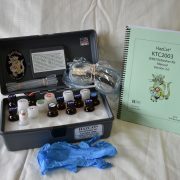 The KT1003 is a “lab in a box” designed speciﬁ cally for immediate, on-site identiﬁ cation of chemicals associated with clandestine methamphetamine laboratories. 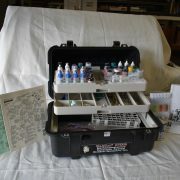 This kit is completely portable and selfcontained in a sturdy, easy to carry (19”x11”x11”) ABS plastic case. 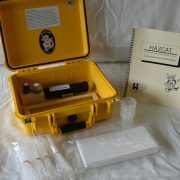 HazCat® test procedures are simple to follow and easily performed by non-chemists. The manual clearly directs the user through the testing procedures with straightforward step-by-step instructions. Only approximate amounts of the unknown and reagents are necessary to obtain accurate results, with no math required. Low cost per test! 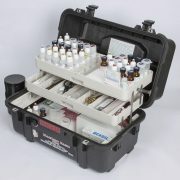 There are enough supplies in the kit to perform hundreds of tests. On site analysis saves time, money and helps preserve evidence. 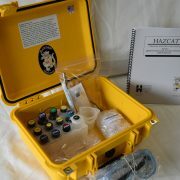 The HazCat® Methamphetamine Chemical/Waste Identiﬁ cation System is a stand alone unit. Everything you need is in one complete package. 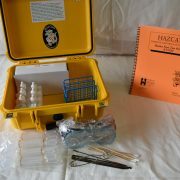 The HazCat® Lead-In-Paint Test Kit gives you an instant and accurate answer about an important potential hazard. The test is quickly performed while in the home, which means no waiting, no third party tester or fees, and better service for your clients. The HazCat® Lead-In-Paint Test System: Designed speciﬁ cally for immediate, on-site identiﬁ cation of lead in paint by home inspectors and realtors. Immediate results, hundreds of uses and low cost per test makes it the best choice for you. The system contains two separate tests, one test identiﬁ es the magnesium found in chrysotile and the other test detects iron found in crocidolite or amosite. An unknown containing more than 1% asbestos results in a positive reaction. Chrysotile is gray to white and tends to be ﬂ uffy. This type of asbestos rarely has the long, straight, sharp ﬁ bers associated with crocidolite or amosite. Many insulations in the United States will contain mostly chrysotile with a small amount of the more expensive amosite added as a bonding ﬁ ber. RE 2180 Amino Acid 1 oz. RE2018-RE2030 Asbestos Test #A5, Concentrated Sulfuric Acid, 30 ml. RE2020 Asbestos Test #C2, Sodium Hydroxide, 30 gr. RE2027 TEL Test Solution, Chloroform, 1 oz. RE2074 Alcohol Solubility Test, 1oz. RE2076 Acid Test 1 oz. RE2092-RE2049 Salting Solution (concentrated hydrochlric acid) 1 oz. RE2096 Water Solubility Test, 1 oz. RE2097 Ephedrine Test 3, 1/4oz. RE2099 Xylene Solubility Test 1 oz. RE2115 RF-1/Water Solubility Test, 4oz. RE2326 Xylene Solubility Test 1 oz. HW4065 Test Tubes, 13 x 100 mm, 1000 ct.
DTK7804 Drager Tube Kit 1 w/Acetic Acid, Ammonia, Carbon Dioxide 2 ea. DTK7805 Drager Tube Kit 2 w/Hydrogen Cyanide, Nitrogen Dioxide, Phenol 2 ea. 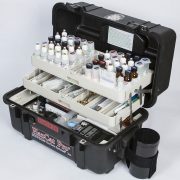 DTK7817 Gastec Kit 2 w/Hydrocyanic Acid, Nitrogen Dioxide, Phenol 2 ea.